This species is accepted, and its native range is Russian Far East to Korea. 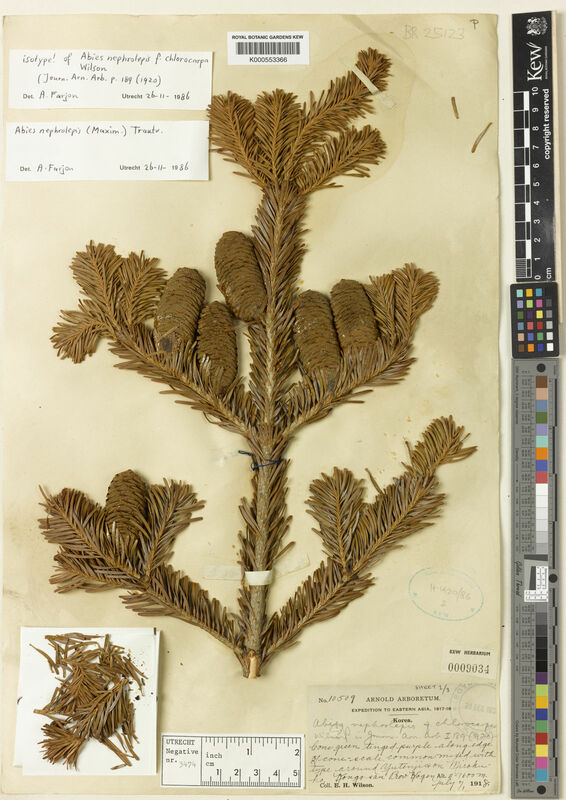 Abies nephrolepis is rated as Least Concerned (LC) according to IUCN Red List criteria and has received a EDGE score of -8.44, which places it in position 1005 on the EDGE Gymnosperm list. It has a Evolutionary Distinctiveness of 4.3, ranked 918. More information on the EDGE Gymnosperm project here https://www.edgeofexistence.org. Abies sibirica var. nephrolepis Trautv.